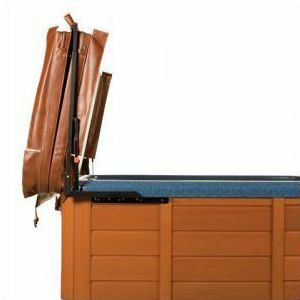 The Cover Valet™ 400 is the world’s leading premium spa cover removal system for spas 91″+. It is designed to fit in almost any backyard environment: inside of a gazebo, against a wall, or even mounted onto an existing deck. 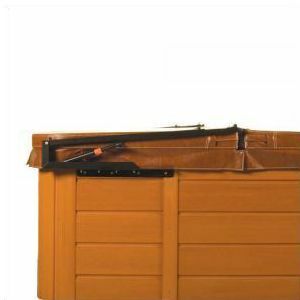 Dual gas springs assist in effortlessly lifting and lowering the spa cover. 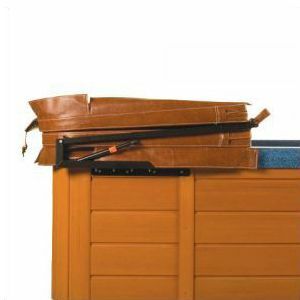 A locking safety feature holds the cover open until it is time to be closed. Requires only 4″- 6″ of clearance. 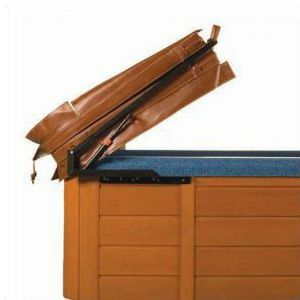 Mounts to edge of spa cabinet or directly to deck.